Eagle Eyes Avian Cable Eagle Eyes Sunglasses - Buy It Now! Wear When Visual Acuily is Vital to Hitting Your Mark! 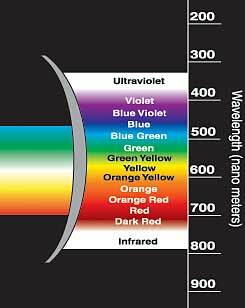 Our revolutionary Patented Polarized TriLenium-Gold Lens System Blocks 100% of Harmful Blue, Violet & Ultra Violet Light Rays at 475nm while Allowing Vision-Enhancing Green, Yellow, Orange & Red Light Spectrum In! The Result? Unparalleled Visual Clarity, Contrast and Definition. 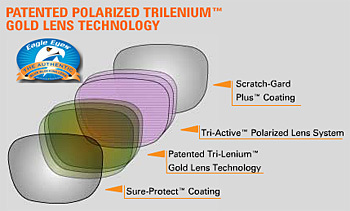 Don�t Be Fooled � Only Eagle Eyes Offers the Original, Patented Polarized TriLenium-Gold Lens System!